This week, I'll show you how I finished up the bead embroidered top of my new necklace and we'll get started on assembling it. 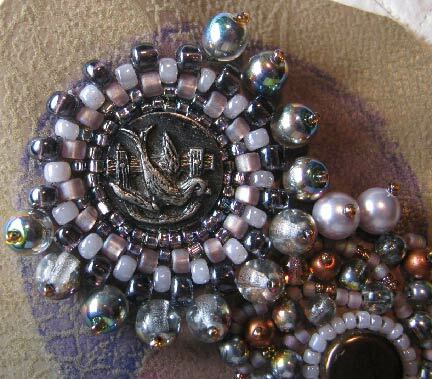 Last week, we left off with the central motif and three motifs on each side finished. 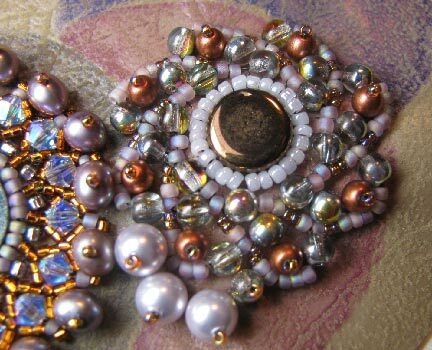 I explained that I chose to use the same stitch pattern on mirror motifs, but varied the colors and beads slightly so that it wouldn't look too symmetrical. 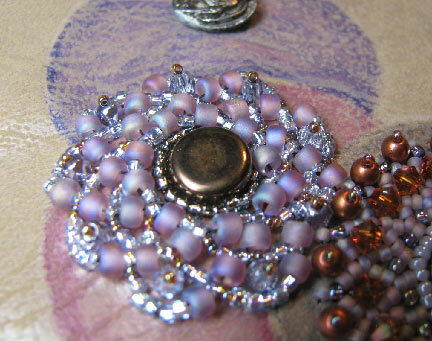 There were two more sets of motifs to stitch, and I chose Russian spirals and peyote for these. 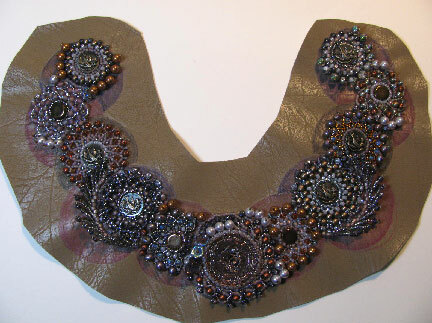 Part of the reason for these choices is that I wanted motifs that looked good even in smaller scale since I'm now nearing the top of the necklace on each side. 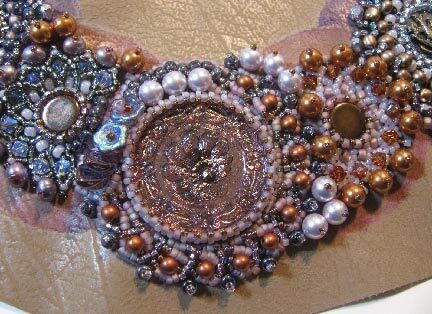 A final step before cutting out the top is to go back and add any additional back stitch and bead stacks to join the motif, filling in any spaces that seem too empty or unbalanced. After cutting out the top, I cut out a matching piece for the backing. 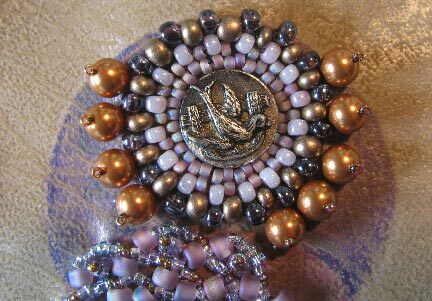 You can find detailed step by step directions for attaching the foundation to the backing in the free chapter of my first e-book, Every Bead Has a Story. 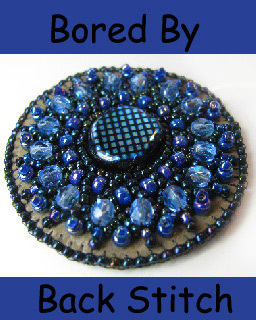 Go download yourself a copy of the first chapter, and you'll find all the info you need on the stitches and techniques used to back your necklace and finish off the edges. 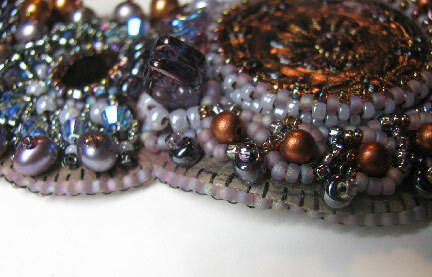 Next week, I'm going to share with you the decorative edging that I added and how the strap and clasp were completed. Really beautiful work! I don't know where you find the time!